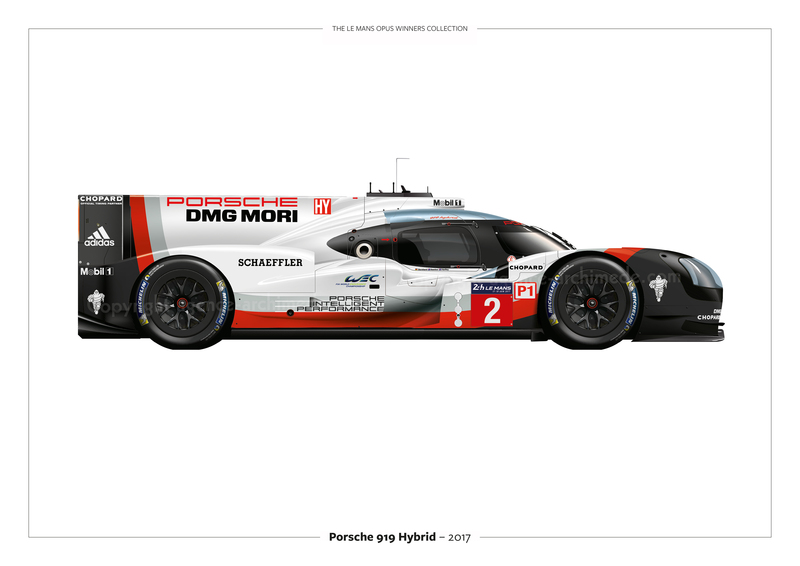 The Le Mans Winners Opus Collection is a limited edition, unprecedented true collectors’ item. 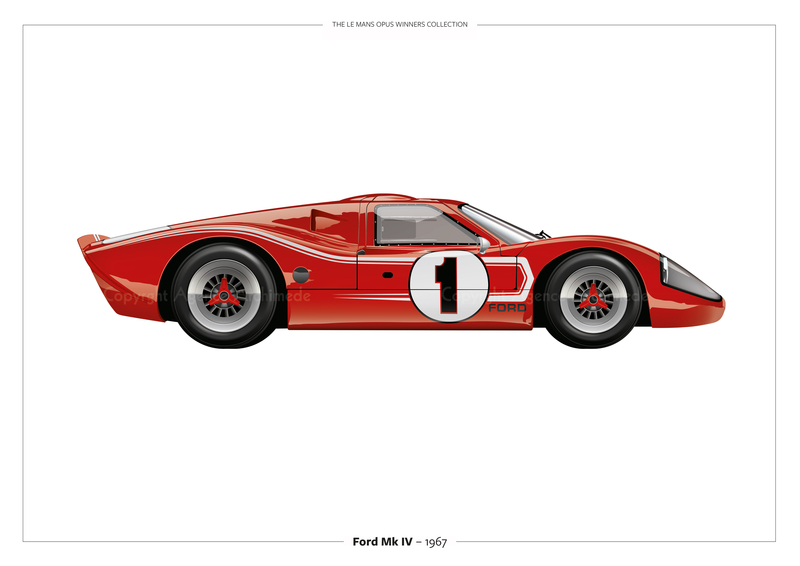 Containing a set of 85 art prints, the Le Mans Winners Opus Collection is encased in a hand-made presentation case. 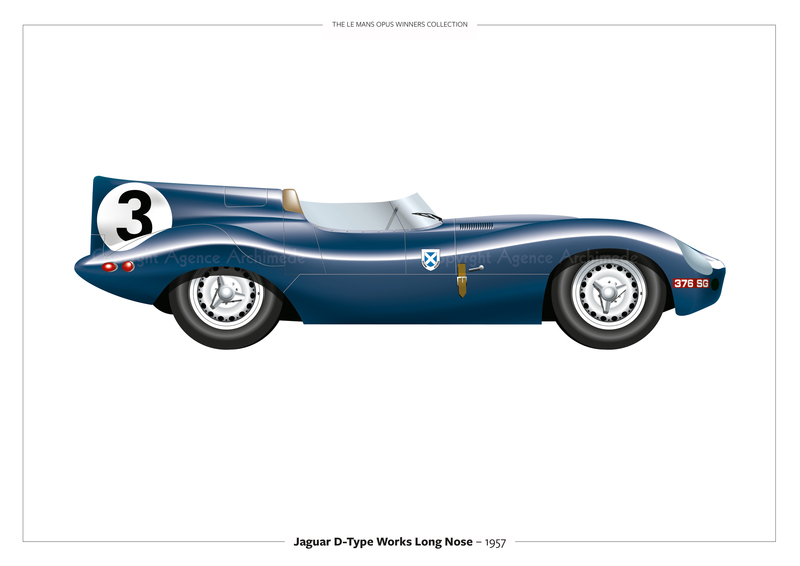 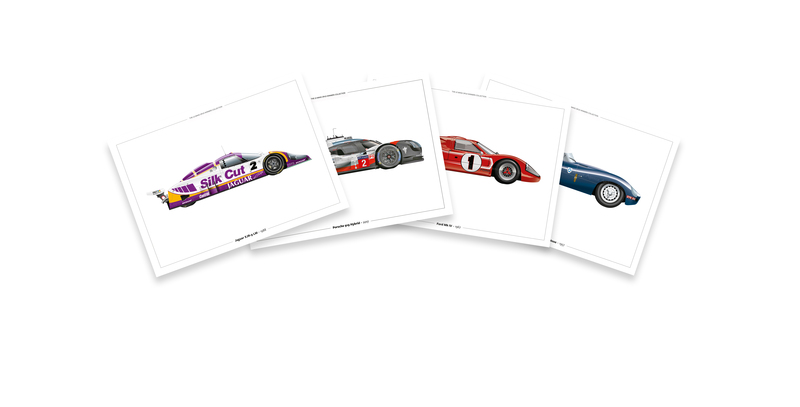 This special item is limited to 99 packages globally, whilst containing a signature sheet signed by eight multi winning Le Mans Hall Of Famers. 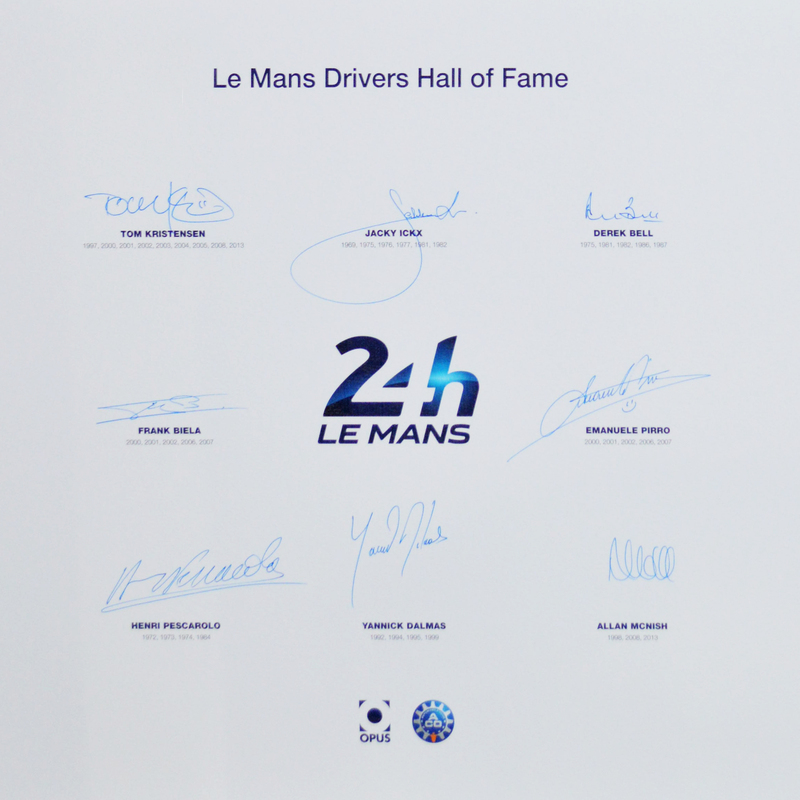 The Hall of Fame Signature sheet that comes with each of the 99 packages is signed by eight multiple 24h Le Mans Champions that have been inducted by the race organizers ACO. 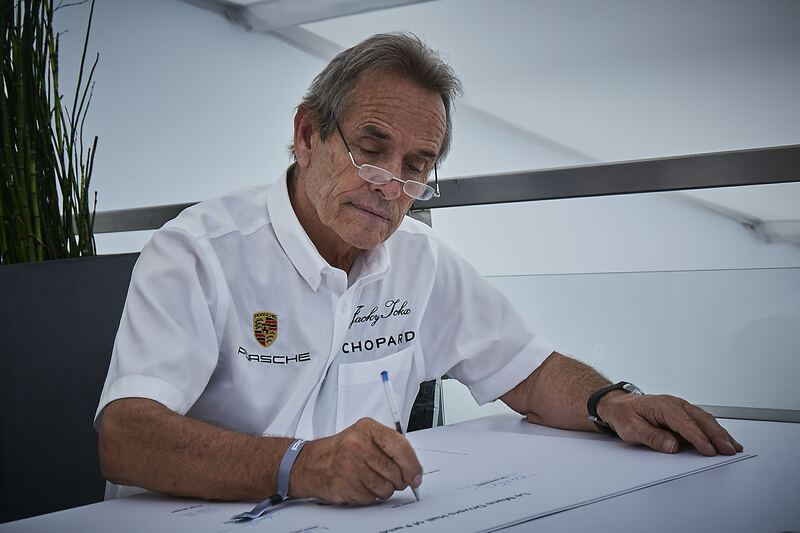 again this is the first time that this has been achieved, in a similar vein to the Formula 1 Opus Champions Signature Sheet. 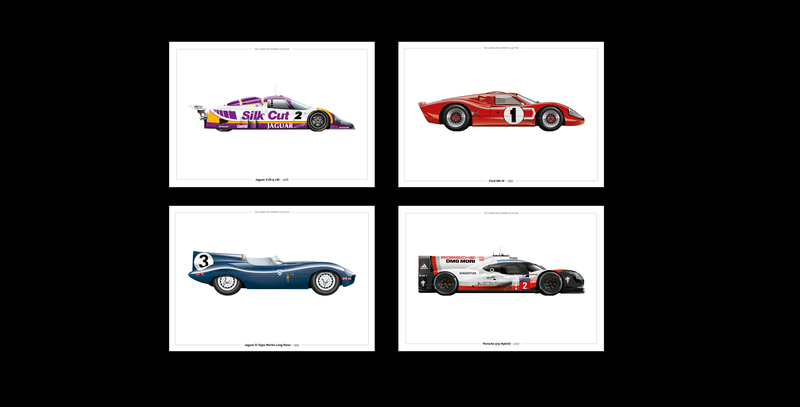 To produce another piece of history, Opus had to travel once again far and wide using planes, trains and automobiles. 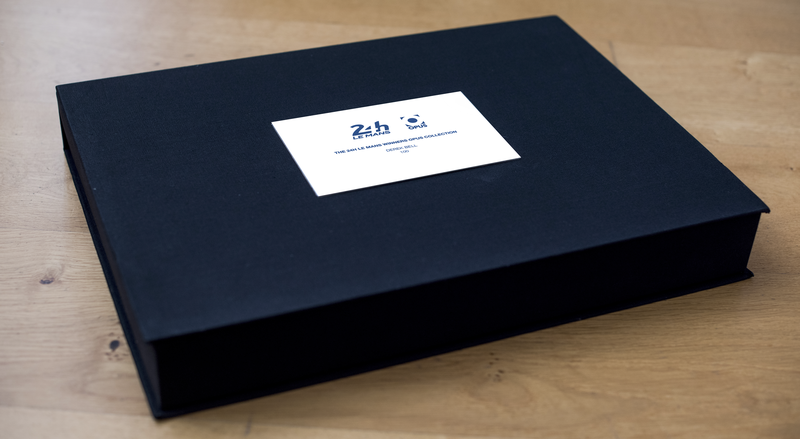 The exercise was time-consuming but the end result of the labour of love was worthwhile, whilst being strictly limited to 99 copies worldwide means the rarity value is assured. 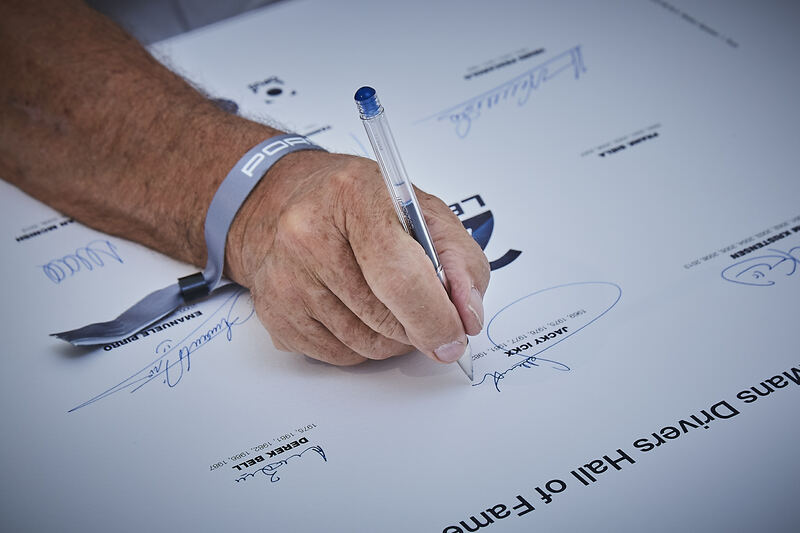 Each signature sheet has been hand signed from surviving eight Le Mans Hall of Famers: Derek Bell, Jacky Bell, Frank Biela, Emanuele Pirro, Henri Pescarolo, Yannick Dalmas and Allan McNish.